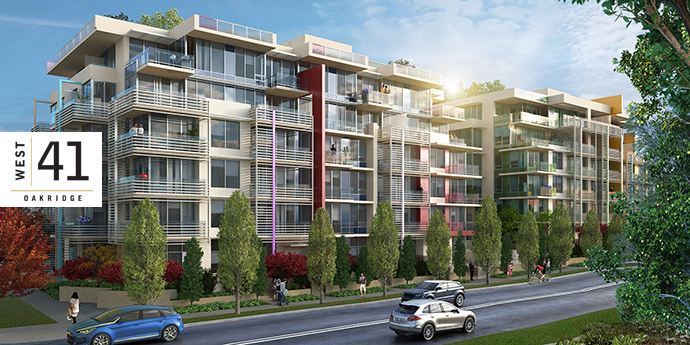 Live in the heart of Oakridge Vancouver Westside! 41 West Condos in Vancouver is one of the most prominent new projects in the Westside Vancouver real estate district and for great reasons. 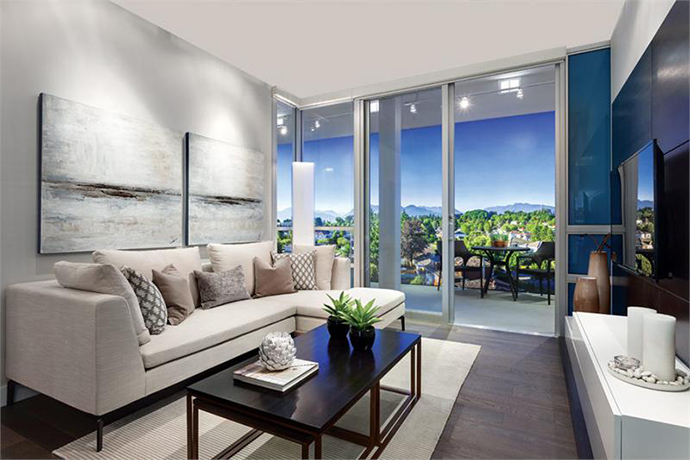 Centrally located close to everything that you want to see and do, the 41 West Vancouver Condos are across from Oakridge Shopping Mall near the intersection of Cambie Street and West 41st Avenue Vancouver. Aptly named 41 West High Luxury Residences, these new condominium homes will be close to transit routes, local transportation, top ranked private and public schools, UBC, YVR/Richmond, Downtown Vancouver, great international cuisine, boutique stores and local services. As well, home owners and residents will be located within the highly anticipated Oakridge redevelopment where you will find the future hub of the city. The project site location is at 675 West 41st Avenue Vancouver and the project is brought to the Westside market by Washington Properties. The sales centre/presentation centre is located at 5864 Cambie Street Vancouver and they are open daily from 12 noon to 5pm except Fridays. The high luxury residences will feature only 97 boutique Vancouver Westside condos for sale and the buildings will be of concrete construction. All homes at 41 West Vancouver Oakridge condos will have full air conditioning, large and functional floor plans and high ceilings! West 41st Avenue is just steps away from everything you need in Vancouver’s flourishing Oakridge neighbourhood, including the Oakridge Shopping Centre, Queen Elizabeth Park and the Canada Line. Sales Centre for 41 West Condos is now open at 5864 Cambie Street Vancouver. Please visit www.41westliving.com for all the details and to register your interest. The luxury of an experienced team is simply trust, craftsmanship, attention to detail and great customer service. 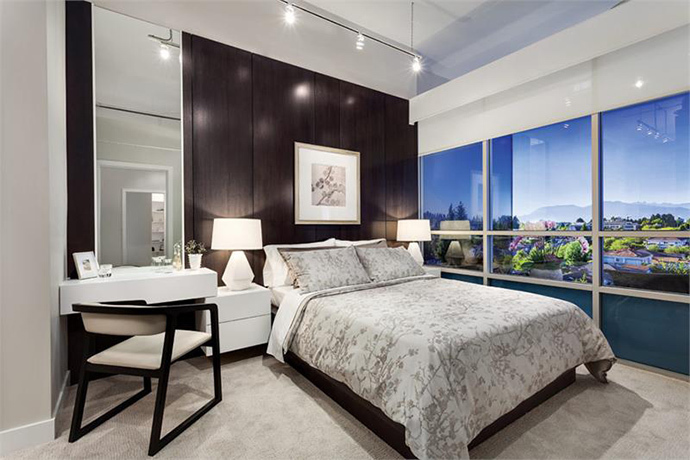 The 41 West Oakridge Vancouver condos present one of the best development teams out there including Washington Properties (Developer), IBI Group (Architect), Cristina Oberti (Interior Design) and Patina Home Staging and Design Ltd (Display Suite Staging). As mentioned above, the brand new and luxurious Westside Vancouver residences are designed by Cristina Oberti Interior Design. Ground level and penthouse level homes will feature overheight 10 foot ceilings and all other floors will have expansive nine foot ceilings throughout. In addition, Cristina Oberti Interior Design has put together two very beautiful colour schemes which are called Harry and Tiffany. If you purchase during presales, you will be able to select the colour scheme of your choice for your home. 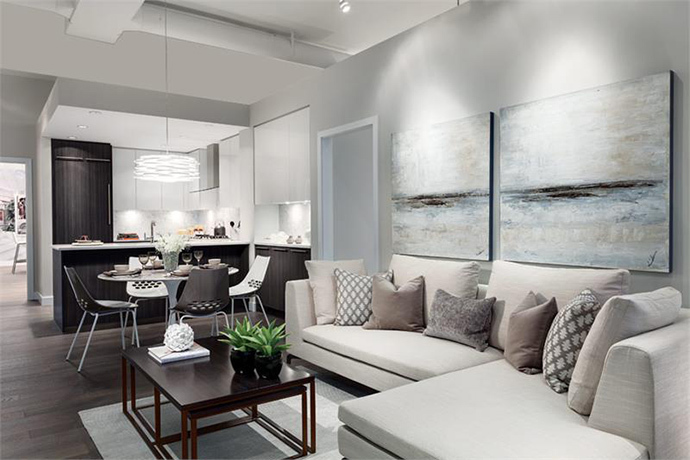 Other interior features at the luxury Vancouver 41 West Oakridge condos includes expansive living rooms, dining area and kitchen complete with engineered hardwood floors. As well, bedrooms will feature soft carpet. Laundry closets and areas will have practical and easy to clean porcelain tiled flooring and all homes will include Blomberg stacked washer and dryer. The luxury Vancouver Westside residences will also feature air conditioning for all year round comfort and sleek roller blinds on all windows for added privacy. The beautifully finished bathrooms will feature modern cabinetry with vertical wood grain veneer finish. As well, the countertops will have smooth 1¼ inch quartz stone with a defined 8” backsplash as well as vanity bar lights and porcelain shower floor tilework. There is also sophisticated porcelain large format floor and wall tiling. 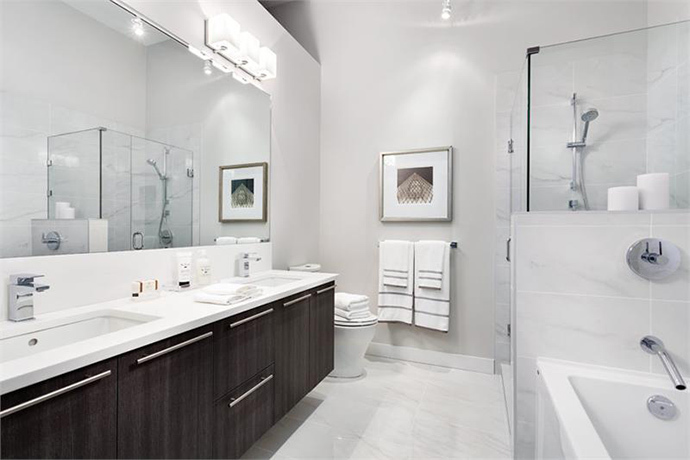 The bathrooms at the luxury 41 West Vancouver Oakridge condos will also feature Kohler toilet and undermount sink with faucet in addition to a premium Hytec bath tub with Kohler fixtures. The gourmet kitchens at 41 West Oakridge Vancouver will feature a designer appliance package that includes: Miele integrated dishwasher, Bosch integrated fridge/freezer, Miele gas cooktop and hood fan, Miele wall oven and Panasonic microwave. The 1 bedroom floor plans will have twenty four inch appliances while the 2 bedroom and larger floorplans will have 30” appliances. Other kitchen features at the Vancouver 41 West Oakridge condos includes pot lights, Kohler undermount sink, durable 1 1/4” quartz counters with marble backsplash and modern cabinetry with wood grain laminate veneer. Please note that any design specifications are subject to change at any time. There is a wide range of layouts available at this boutique residence that includes 1 bedroom to 3 bedroom and den floor plans. 41 West Oakridge features one 1 bedroom layout called Plan A1 at 645 square feet on Level 1 and featuring 1 bathroom. 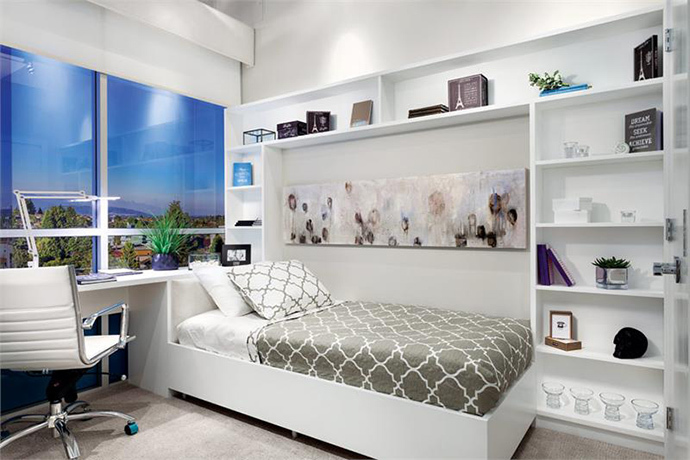 There are numerous 1 bedroom plus den plans (B Series) that range in size between 540 to 728 square feet. The luxury Vancouver 41 West condos will also feature spacious 2 bedroom plus den suites that range in size between 879 to 1,084 square feet. All of the two bedroom homes at Oakridge’s 41 West condos will feature 2 full bathrooms and some of the layouts have added ‘family rooms’ in addition to the ‘den’. Series D floor plans are all 3 bedroom homes at 41 West Oakridge and they range in size between 1,020 to 1,592 square feet. All 3 bed floor plans have ‘dens’ and at least 2 bathrooms (some select homes have a powder room too!). The developer reserves the right to make minor modifications or substitutions to building design, specifications and floor plans should they be necessary to maintain the high standards of this community. Square footages are based on preliminary surveyor’s measurements and are approximate. E.&O.E.